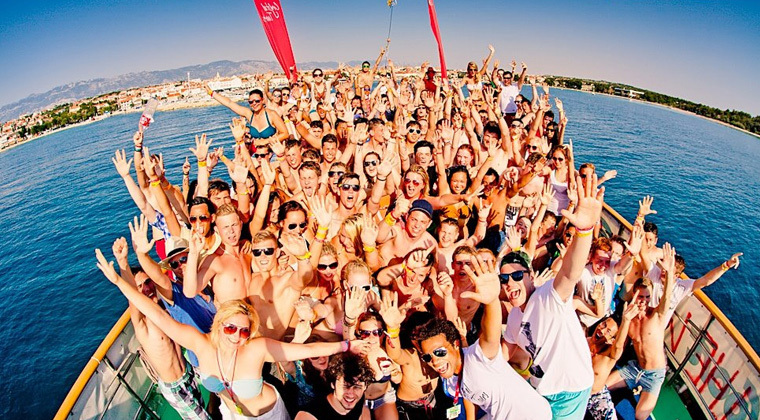 Enjoy the best catamaran party boat, after and before Tomatina Festival with this Tomatina Party Boat. A boat without heights and go next to the sea makes it very comfortable and stable for navigation which will make you enjoy your holiday completely. Choose from our collective parties for groups, stag parties and single or the ability to create your own event exclusively for your business or private celebrations. At the various ports of Valencia. The After the party on the boat, you can go to the Port of Valencia, All facilities to continue the party without any transportation. If you do not have enough with this amazing boat experience, La Tomatina is waiting for you. La Tomatina is celebrated the last Wednesday in August, in Buñol (Valencia). From early morning the party mood is palpable. Lunch, the Palo Jabón (a soapy stick with ham in its end). And at 11 o’clock… La Tomatina! A frantic hour throwing tomatoes!. But this is not the end of the party. When La Tomatina is over it is time to recover your strength with a delicious paella and a very fresh sangria, while the best music sounds. All this accompanied by thousands of friends from all corners of the world. Are you going to miss?